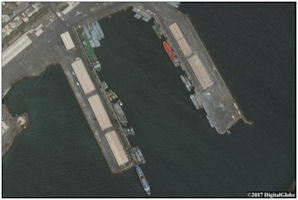 Eritrea boasts deepwater port facilities at Massawa and Assab, both strategically placed near the mouth of the Red Sea. There was a time when Eritrea supported Yemen’s Houthi fighters and functioned as a transshipment location for Iranian supplies heading to them. A diplomatic row between Djibouti and UAE on 28 April saw the UAE consulate in Djibouti closed after the altercation between Wahib Moussa Kalinleh, the commander of the Djibouti Air Force, and Ali Al Shihi, Vice Consul of the UAE. This was the a formal reason of the departure of the Gulf Cooperation Council troops based on a plot of land that Djibouti had put at its disposal in Haramous in early April to set up its military base. Saudi Arabia and UAE redirected their efforts aimed to build a military base on Eritrea. On April 29, the very day that Djibouti evicted Gulf troops, Eritrean President Isaias Afewerki met with Saudi Arabia’s King Salman bin Abdel Aziz and concluded a security and military partnership agreement with the Gulf states offering basing rights in Eritrea. High-level delegations from the Gulf Cooperation Council had already met Eritrean officials that year to discuss using Eritrea as potential base for operations. The UN Monitoring Group on Somalia and Eritrea maintained that the establishment and continuing expansion of a military base of the United Arab Emirates near the port city of Assab, which involves the transfer of military materiel to and exchange of military assistance with Eritrea, constituted a violation of the arms embargo. The United Arab Emirates concluded a 30-year lease agreement for military use of the mothballed deep-water port at Assab and the nearby hard-surface Assab airfield, with a 3,500-meter runway, By late 2015 the Emirati Armed Forces started to actively use the Eritrean ports. At least three landing craft belonging to the United Arab Emirates were docked in the port of Assab on 16 September 2015. 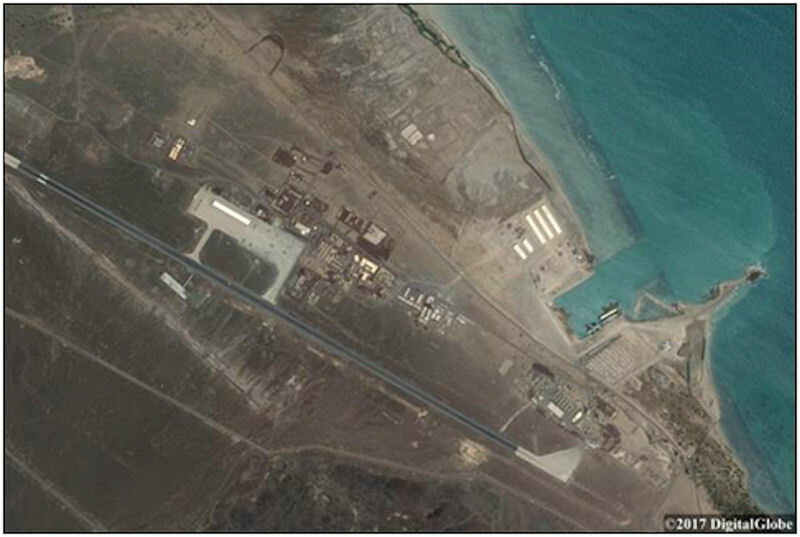 Janes reported 14 November 2016 that "The United Arab Emirates has deployed a combat air group to Eritrea's Assab airport to support its military operation in southern Yemen, Airbus Defence and Space satellite imagery shows. There were nine Dassault Mirage 2000 multirole jet fighters at the airport on 20 October, as well as two Sikorsky UH-60 Black Hawk helicopters, two Bell 407 helicopters, one Lockheed Martin C-130 Hercules transport aircraft, and two Bombardier Dash 8 turboprop airliners. This combination of aircraft is only in service with the UAE air force, which has about 40 Mirage 2000-9EAD jets and operates the Northstar Aviation 407MHR armed version of the Bell helicopter. The construction of 12 hangars at the airbase indicates that the UAE has deployed or intends to deploy more than nine Mirage 2000-9 jets. The hangars and fighters were not present at the base on 8 May. Satellite imagery also shows UAE Navy vessels have been using Assab's commercial port since at least September 2015. The 20 October image shows one of the UAE Navy's six Baynunah-class corvettes docked on that day as well as two 64 m landing ships." 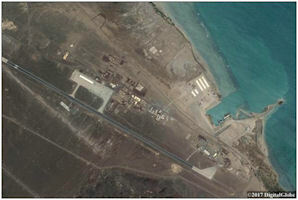 Satellite imagery showed the further expansion of the military base of the United Arab Emirates in Assab, Eritrea, since November 2016. Construction of a permanent port facility adjacent to the airport has continued. As at 14 September 2017, construction of the berthing area of the port, as well as on-land port facilities, appeared to be almost complete and multiple vessels were docked at the facilities. Satellite imagery further demonstrated the continuing presence of tanks and artillery of the United Arab Emirates on a site between the airport and the port facilities, including what appear to be multiple AMX Leclerc main battle tanks. Multiple fixed-wing and rotary-wing aircraft, for both combat and logistical purposes, appear to be operating from the airport, including several Dassault Mirage 2000 fighter aircraft. The construction of permanent infrastructure and facilities around the airport apron and the runway to the south of the airport has also continued. Most naval vessels bearing the flag of the United Arab Emirates operating from Assab port stopped transmitting automatic identification system (AIS) signals in mid-October 2016. This was probably in response to an attack on the hybrid catamaran HSV-2 Swift 1 (IMO: 9283928), owned by the United Arab Emirates, in the Bab al-Mandab strait on 1 October 2016. 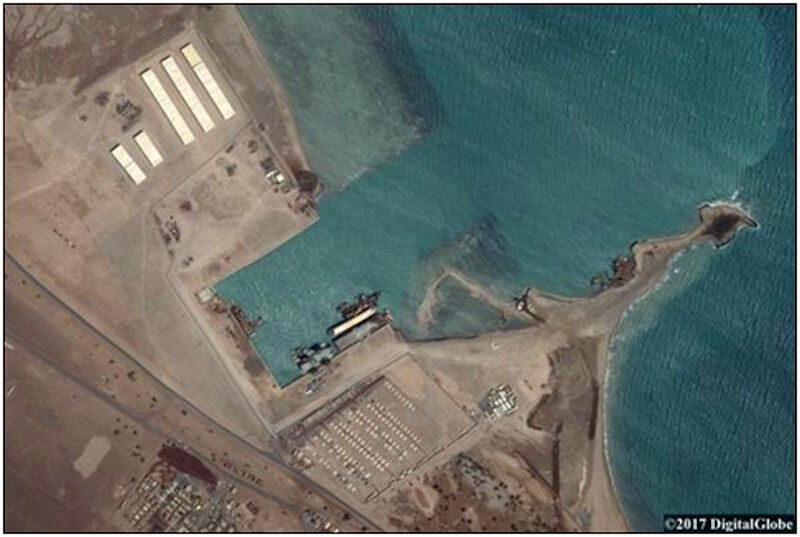 Satellite imagery showed increased activity at Assab port since late 2016, with a significantly greater presence of naval vessels, including multiple landing craft, fast attack craft and patrol craft. The terms of the agreement between the Government of Eritrea and the United Arab Emirates remain unclear. However, in a press release on 14 December 2016, the Ministry of Information of Eritrea declared that Al-Mayadeen, an Arabic-language television station, had “wrongly assert[ed]” that the “United Arab Emirates has acquired a 30-year lease for a military base in the Port of Assab”. The statement described the claim as “wild and speculative”. On 29 December 2016 Eritrea dismissed reports alleging that the Red Sea nation had leased the port town of Assab to the United Arab Emirates. The Beirut based Arabic TV channel, Al-mayadeen, had reported that UAE has acquired a 30-year lease for military base in the port of Assab. Asmara denied the report saying unfounded and deliberately aimed to tarnish image of the country. Eritrea’s ministry of information accused the TV channel of broadcasting a speculative news "in a highly dramatized manner and without rudimentary verification" The ministry said this is not the first time for Al-mayadeen to broadcast "false reports"
The town has become an important port since it was purchased by the Rubattino Shipping Company for 8,100 Maria Teresa dollars from the local sultans on behalf of the Italian government in 1869. Assab was chosen for its strategic location near the straits of Bab el Mandeb, and the possibility that it could become an important trading station between Ethiopia and Arabia. 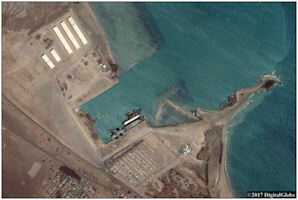 Assab now is a modern port, with an oil refinery built by the former Soviet Union. It used to be the main port serving Addis Ababa and therefore has more an Ethiopian than Eritrean feel to it. The town is divided into three parts. Assab Seghir (small Assab) on the shoreline, Assab Kebir (big Assab) in the center of town, containing the port and the city center and nestling behind it is the rather ramshackle Campo Sudan, the former domain of Ethiopian residents. There are extensive salt flats around Assab. There are 30 islands in the Bay of Assab, which can be visited. Prior to the outbreak of hostilities in June 1998, there were an estimated 100,000 Ethiopians working in Eritrea, many of whom worked in the Red Sea port of Assab. Many lost their jobs when the conflict erupted and Ethiopian trade was rerouted to Djibouti.